The notion of monetising data is not new for Communications Service Providers. An increasing number of CSP’s are monetising subscriber and Big Data in their corporate growth strategy. Others are assessing their options and some of the most advanced companies have set up new divisions targeted at exploiting Big Data. For most CSP’s the question of how and to what level they will co-operate with OTT providers remains unanswered. On the one hand, these companies represent a major source of threat to operator revenues. On the other, they could be a key buyer of operator subscriber data. This article examines how CSP’s are exploiting subscriber data, the tensions that exists between CSP’s and OTT players and what OTT players actually want from CSPs. As the Big Data industry matures and more companies adopt Big Data programs, clear trends are emerging in relation to the impact of Big Data on company culture. 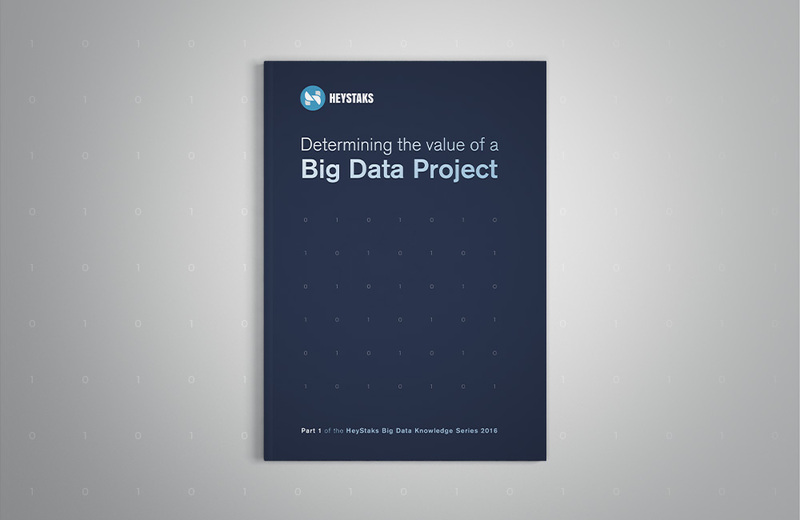 HeyStaks have analysed different sources of information and identified the stages that companies work through on the way to successfully adopting Big Data. We also look at what might be ahead for companies who are already successfully adopting Big Data. What clearly emerges from our study is that the level of staff buy-in and support is the most critical success factor. We suggest some ideas within this article on how to cultivate this. How can a Mobile Operator Measure the Value of a Big Data Project? Evidence suggests that companies who invest in Big Data struggle to make an acceptable return on the investment. 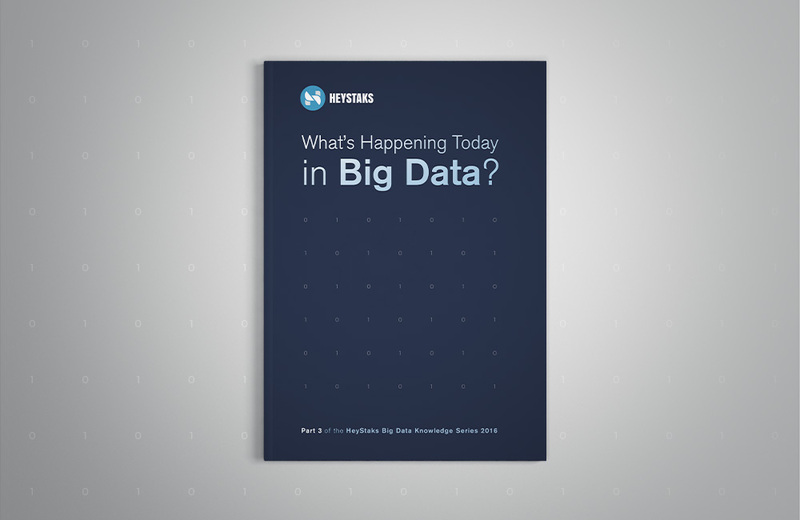 Here HeyStaks present the results of a recent survey regarding the Big Data R.O.I. This survey highlights how for large companies the R.O.I. is often low and it illustrates the importance and difficulty of developing an accurate Business Cases for a Big Data project. Update – October 16th: The latest version contains previews of a hand-picked selection of speakers at the Web Summit. The Web Summit 2015 is fast approaching, and will be the last to take place in Dublin before it moves to Lisbon next year. Taking place over three days (November 3-5 2015), it will see an estimated 30,000 people descend on Dublin’s RDS to see hundreds of luminaries from the world of technology take to the stage. We’re pleased to tell you that we’re continuing our annual trend of creating the HeyStaks Guide to Dublin Web Summit, which you can download below for free. It has everything from networking tips, to speaker profiles, to practical information on visiting Dublin. In December 2014, we conducted a study to discover the ways in which e-commerce professionals use analytics on their websites. We also wanted to hear their opinions on what’s working and what’s not with the analytics solutions that they use. We received 30 responses to our survey over a three week period before Christmas. Download the HeyStaks Data Compliance Policy below for further detail on our data privacy policies and features. This document describes general deployment options, deployment activities and associated customer responsibilities and dependencies of a HeyStaks deployment. Attending Web Summit 2015? 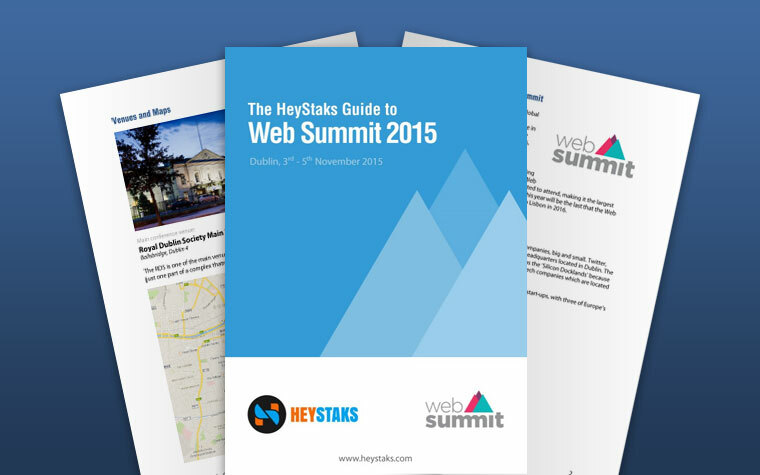 Our Free Guide to Web Summit 2015 has been released! Update – November 3rd: The latest version contains an full, updated printable version of the Web Summit Schedule for all three days. The Web Summit 2014 is fast approaching, and it will be even bigger than ever before. Taking place over three days (November 4-6 2014) in Dublin’s RDS, it will see hundreds of luminaries from the world of technology take to the stage in front of 20,000 attendees. 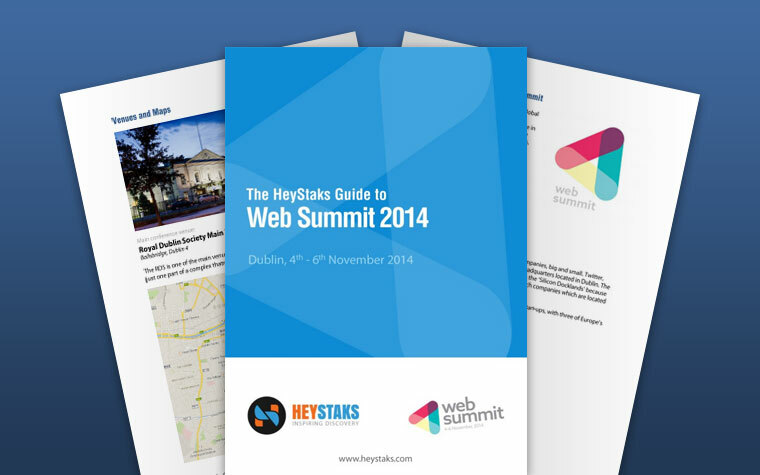 Last year we created our own (and wildly successful) HeyStaks Guide to Dublin Web Summit and we’re delighted to tell you that we’ve done the same again for 2014. The HeyStaks Guide to Web Summit 2014, which you can download below for free, has everything from printable daily schedules, to profiles of the best speakers, to practical information and tips on visiting Dublin, and everything in-between.